Selling everything from farm machinery to 5200+ acre ranches, we are Northwest Oklahoma and Kansas's choice for all of your land auctions and real estate needs. In 1987, with only a hand held PA system and a 2 room office on a side street in Mooreland, Ira Smith formed Smith & Company Professional Auction Services. 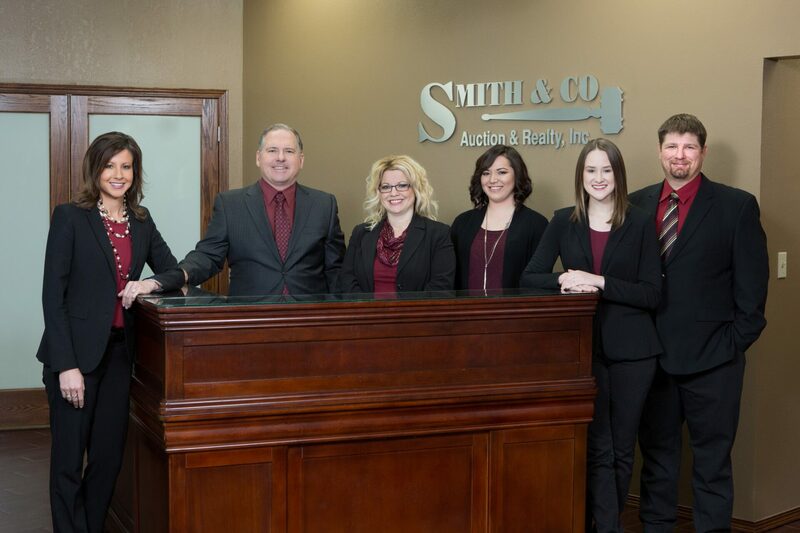 Over the years, the business has grown exponentially and today Smith & Company Auction & Realty, Inc. has become a full service auction and realty company. We offer a 10,000 sq. ft. state-of-the-art facility that will adequately host any type of auction in any type of weather. We have a niche for marketing. Proper marketing and our extensive mail list has been a key to our growth. Our marketing program includes high quality color flyers coupled with internet programs, mass mailers, detailed search engine packages, traditional and full print color signs, social media blasts, specialty mailers, radio, television, and more! Ira Smith was born and raised on a small farm north of Mooreland, Oklahoma. It was at an early age that he fell in love with tractors and quickly developed a love for the land. At the age of 14, Ira began working for area farmers and ranchers and quickly learned how to operate multiple different types of equipment. Ira graduated high school in 1980 and began his college career in Shawnee at Oklahoma Baptist University. He later attended Northwestern Oklahoma State University in Alva, Oklahoma and Oklahoma State University in Stillwater. During Ira’s college career he completed auction classes, marketing classes, soil classes and many different other agriculture related studies. On the weekends and during the summer he worked auctions throughout northwest Oklahoma and the Panhandle. This is how he received his start selling everything from farm equipment and heavy machinery to real estate. Ira received his real estate license in 1983, graduated from Oklahoma State University in 1985 and in 1987 Smith & Company was formed. Ira desires to be on the leading edge of auction technology and received the Auction Technology Specialist (ATS) designation in 2012. As an ATS graduate, Ira is among less than one percent of auctioneers throughout North America with this specialized training. Ira is very involved with community and loves to give back. He conducts many benefit auctions throughout the area some of which include the NW Oklahoma Cattlemen’s Foundation annual benefit auction, the Mid-day Ambucs annual benefit auction, NW District NRA banquet and auction, OSU Posse club annual fund raiser auction, Woodward Chamber of Commerce annual benefit auction, and many surrounding area 4-H and FFA trophy auctions. Ira has held offices such as Past President and Board Member for the Oklahoma State Auctioneers Association, Longtime Member of the National Association of Auctioneers, Past President and Board Member for the Board of Education Mooreland, OK, President and Board Member of the Mooreland Economic Development Organization since 1997, Member and Past Chairman of the Board for the Woodward Industrial Foundation, Past Chairman of the Board of Directors for the Woodward Chamber of Commerce, and currently serving as Chairman on the Woodward Hospital Board and the Board of Directors for the Northwest Senior Living Foundation. Aspen Gambrel is a native to Northwest Oklahoma. She graduated from Woodward High School in 2012 and loved it enough that she never left. As the Administrative Assistant for Smith & Company Auction & Realty, Inc., Aspen will do everything in her ability to assist you with any need you may have, whether it be getting you to the correct realtor or getting you information for the next auction. Prior to Smith & Company Auction & Realty, Inc., Aspen was a caregiver (a.k.a. superhero) at Boomer Kid Club where she attended numerous Early Education Development Courses and learned the true meaning of patience. Aspen has a deep love for family and spends her after-hours with her fiance’ and her little brothers and sisters. Cathy Smith attended Northwestern Oklahoma State University in Alva and Oklahoma State University in Stillwater. Her professional experience includes newspaper marketing, professional printing, accounts payable and receivable, and insurance management. Cathy serves as the Children’s Church Director at Mooreland First Baptist Church. She holds a sales associate real estate license and is a member of the Oklahoma State Auctioneers Association and the National Auctioneers Association. Cathy resides in Mooreland with her husband Ira and together they have 5 children and 10 amazing grandchildren. Tamra Provines was born and raised in Vici, OK and obtained a Bachelor of Science Degree in Marketing from Oklahoma State University. (GO POKES!) After graduating, she moved to California in 2005 and began her real estate career specializing in commercial apartment sales of 10+ units in the Greater Los Angeles market. Feeling the need to experience both coasts, she moved to Florida in 2009. She held the title of Director of Marketing and Sales Development with a media-consulting group in Miami, and then acquired her Florida Real Estate salesperson license, specializing in residential home sales. She is married to Tyler, and they have one son. Tamra says “Attitude is everything!” She works hard to turn buying or selling a house into a pleasant process. In her opinion, buying a house should be fun and exciting and selling a house should be a time of looking forward to life’s next adventure. Debra is married to Kenny Rounds. They live in Leedey, Oklahoma and have 2 children Jocelyn and Sheldon. She studied business at Northwestern Oklahoma State University and Oklahoma State University. Debbie received her Real Estate license in 1986 and was active until 1990 when she took a leave of absence to stay at home with her children. In 2006, Debbie started working part-time for Smith and Company Auction & Realty, Inc., helping with estate auctions, personal property auctions, mineral auctions, and open houses. Debbie is currently an active Real Estate Sales Associate for the company. Kenny is a Rancher/Farmer in Leedey, Oklahoma. He is married to Debra Rounds and they have two children, Jocelyn and Sheldon. Kenny graduated from Oklahoma State University in 1981 with a degree in Animal Science. Kenny joined Smith and Company in 2006 as an auctioneer and also helps out as a ringman. Kenny serves his community by participating in several local events. Buck Hutchens is a lifelong resident of Vici, Oklahoma. He is a 1997 graduate of Vici High School, a 1999 Clarendon College graduate with an Associate’s Degree in Ranch & Feedlot Management, and a 2001 graduate of Oklahoma Panhandle State University holding a bachelor’s degree in Agribusiness with minors in Agronomy and Animal Science. Buck joined Smith & Company in 2004 as a Real Estate Sales Associate & Auctioneer. Buck is a graduate of Texas Auction Academy and the Professional Ringmen’s Institute. Buck pursued his broker’s license and in January 2019 was named Managing Broker of Smith & Co. Real Estate Marketing Professionals, Inc.
Buck is very actively involved in our community. Currently, he is an Assistant Chief of the Vici Volunteer Fire Department and has served as a Volunteer Firefighter for 16+ years; Secretary of the Northwest Oklahoma Range Fire Association and member for many years; Chairman of the Vici Education Foundation; Vici Chamber of Commerce member; Shattuck Chamber of Commerce member; Oklahoma Cattlemen’s Association Lifetime member; serves on the Board of Directors of the Northwest Cattlemen’s Foundation and is a Lifetime Member; serves on the BCD Leadership Committee; is a member of the Oklahoma Auctioneer’s Association and the National Auctioneer’s Association. In addition, Buck is owner/operator of a commercial cow/calf operation. Buck’s greatest joy comes from time with his two sons Ethan and Tate. He has never met a stranger and enjoys meeting new people. He is always willing to assist in meeting their needs. Buck’s diverse knowledge has made him a very valuable asset to our organization and our community. David is a native of Shattuck, Oklahoma. He holds a bachelor of science degree in business from Northwestern Oklahoma State University and graduated from auction school in 1983. David has conducted several hundred auctions in NW Oklahoma over the past 30 years and has been a top ten finalist in the Oklahoma Auctioneers Association bid calling contest. David and his wife Tammy enjoy farming and ranching in the Shattuck area and spending time with their children and grandchildren. Cortney Gainer grew up in Freedom, OK and graduated from Mooreland in 1994. 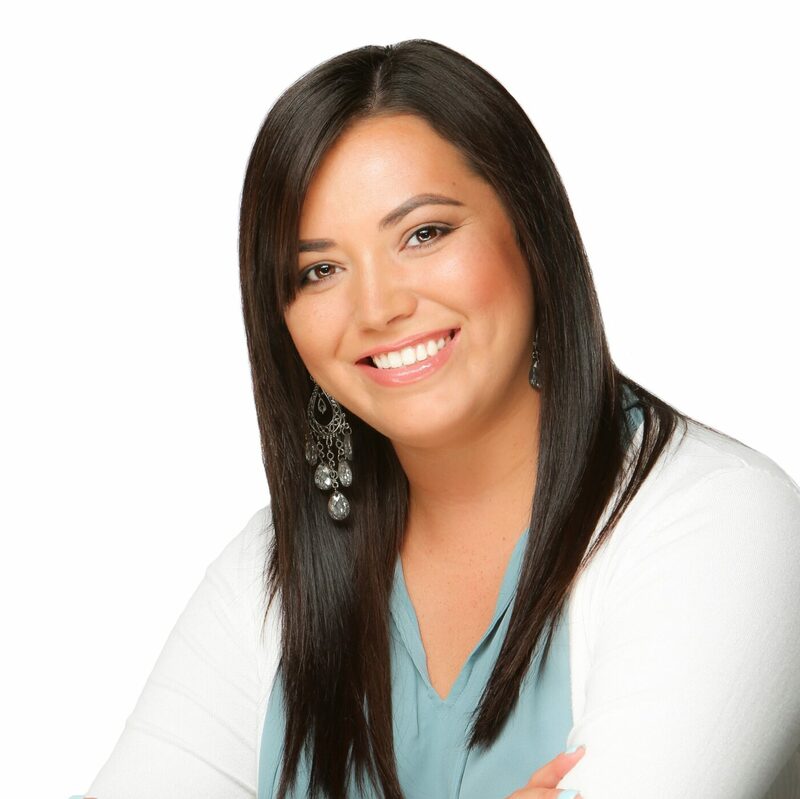 She attended NWOSU in Alva and studied Business Administration at Autry Technology in Enid, OK. Cortney graduated from the school of Pastorial Leadership Christ for the Nations Bible College in Dallas, TX in 2004. She was the director of the Pregnancy Center in Beaver, OK for 3 years. She attends the Living Word Fellowship and is involved in the Children’s Ministry. Cortney worked at Mooreland Grade School for 7 years before she received her Real Estate License in 2015. She is married to Bobby and they have 3 children Kobe, Desa, and Micah.